“We believe that God is good, that God loves everybody, that Jesus was here to set people free, and that’s still the good news of the gospel.” This may be the gospel according to Hillsong pastor Carl Lenz, but it’s not the gospel of Jesus Christ. Now I would remind you, brothers, of the gospel I preached to you, which you received, in which you stand, 2and by which you are being saved, if you hold fast to the word I preached to you—unless you believed in vain. 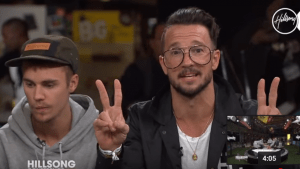 Carl Lentz of Hillsong New York recently appeared on ABC’s “The View,” where he was asked whether or not abortion is considered a sin at his church. While the answer was unclear, Lentz said that “God is the judge” and that he would prefer to know a person’s name and beliefs before making a determination as to whether or not they have sinned.